§ 18.2-266. Virginia DUI Driving motor vehicle, engine, etc., while intoxicated, etc. § 18.2-266.1. 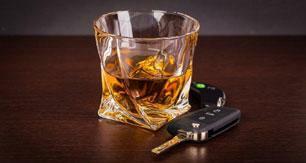 Persons under age 21 driving after illegally consuming alcohol; penalty. B. A violation of this section shall be punishable by forfeiture of such person's license to operate a motor vehicle for a period of six months from the date of conviction and by a fine of not more than $500. This suspension period shall be in addition to the suspension period provided under § 46.2-391.2. The penalties and license forfeiture provisions set forth in §§ 16.1-278.9, 18.2-270 and 18.2-271 shall not apply to a violation of this section. Any person convicted of a violation of this section shall be eligible to attend an Alcohol Safety Action Program under the provisions of § 18.2-271.1 and may, in the discretion of the court, be issued a restricted license during the term of license suspension. § 18.2-268.3. Virginia DUI Refusal of tests; penalties; procedures. D. A first violation of this section is a civil offense and subsequent violations are criminal offenses. For a first offense the court shall suspend the defendant's privilege to drive for a period of one year. This suspension period is in addition to the suspension period provided under § 46.2-391.2. If a person is found to have violated this section and within 10 years prior to the date of the refusal he was found guilty of any of the following: a violation of this section, a violation of § 18.2-266, or a violation of any offense listed in subsection E of § 18.2-270, arising out of separate occurrences or incidents, he is guilty of a Class 2 misdemeanor and the court shall suspend the defendant's privilege to drive for a period of three years. This suspension period is in addition to the suspension period provided under § 46.2-391.2. If a person is found guilty of a violation of this section and within 10 years prior to the date of the refusal he was found guilty of any two of the following: a violation of this section, a violation of § 18.2-266, or a violation of any offense listed in subsection E of § 18.2-270 arising out of separate occurrences or incidents, he is guilty of a Class 1 misdemeanor and the court shall suspend the defendant's privilege to drive for a period of three years. This suspension period is in addition to the suspension period provided under § 46.2-391.2. A. Any person who, as a result of driving while intoxicated in violation of § 18.2-266 or any local ordinance substantially similar thereto in a manner so gross, wanton and culpable as to show a reckless disregard for human life, unintentionally causes the serious bodily injury of another person resulting in permanent and significant physical impairment shall be guilty of a Class 6 felony. The driver's license of any person convicted under this section shall be revoked pursuant to subsection B of § 46.2-391. B. No person shall operate any watercraft, as defined in § 29.1-712, or motorboat which is underway (i) while such person has a blood alcohol concentration at or greater than the blood alcohol concentration at which it is unlawful to drive or operate a motor vehicle as provided in § 18.2-266 as indicated by a chemical test administered in accordance with § 29.1-738.2, (ii) while such person is under the influence of alcohol, (iii) while such person is under the influence of any narcotic drug or any other self-administered intoxicant or drug of whatsoever nature, or any combination of such drugs, to a degree which impairs his ability to operate the watercraft or motorboat safely, (iv) while such person is under the combined influence of alcohol and any drug or drugs to a degree which impairs his ability to operate the watercraft or motorboat safely, or (v) while such person has a blood concentration of any of the following substances at a level that is equal to or greater than: (a) 0.02 milligrams of cocaine per liter of blood, (b) 0.1 milligrams of methamphetamine per liter of blood, (c) 0.01 milligrams of phencyclidine per liter of blood, or (d) 0.1 milligrams of 3,4-methylenedioxymethamphetamine per liter of blood. C. For purposes of this article, the word "operate" shall include being in actual physical control of a watercraft or motorboat and "underway" shall mean that a vessel is not at anchor, or made fast to the shore, or aground. Any person who violates any provision of this section shall be guilty of a Class 1 misdemeanor. B. A violation of this section shall be punishable by denial by the court of such person's privilege to operate a watercraft or motorboat for a period of six months from the date of conviction and by a fine of not more than $500. Any person convicted of a violation of this section shall be eligible to attend an Alcohol Safety Action Program under the provisions of § 29.1-738.5. 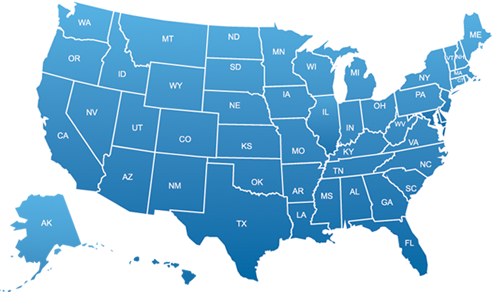 Contact a Virginia DUI Attorney from "America's DUI Attorneys TM"